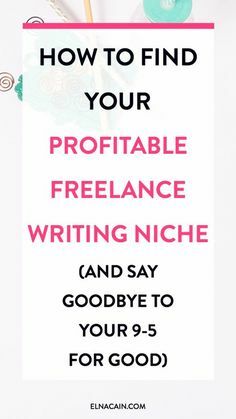 If you’ve ever thought about starting a home business or if you’ve come across work-at-home opportunities, they don’t seem to be “wowzers” in meeting the size of income that you would need to fire your boss at first glance. However, many of these opportunities can be used as stepping stones that could lead to something a little bit more up your alley. One important thing that often gets overlooked is skill set. With the vast amount of creative entrepreneurs on the rise, millennials can ideally get on board by turning their skills at home, into a lucrative career. the most reward out of it by creating a work-life balance and their own self-fulfilling prophecy. money to start your own business. The key factor in choosing what you want to do is examining your skill set. If you have a skill that you can bank on, it will make your journey easier than if you go out and jump into something you don’t have a clue about. Take what you can bring to the table into consideration before moving forward in any kind of business. Whether you’re responsible for keeping track of household expenses or if you’ve ever worked as a cashier/bank teller, there are some skills that you had to learn to do the job, such as reconciling your cash drawer. Whether you know it or not, this task gave you some experience with bookkeeping. Being in this type of field also developed your customer service skills. Having this skill set enables you to obtain work at home as a bookkeeper or an assistant to accountants, which many women do. When I worked at a bank as a teller many moons ago, I left for a one week vacation and forgot to lock up my cash drawer. In another incident, I cashed a check for ten dollars and gave the customer one thousand dollars instead because I only looked at the numbers and did not look at the written amount on the check. Therefore, I knew dealing with cash was not for me. However, I’m good at customer service. In my own business, I’ll delegate certain tasks to someone who knows what they are doing, so that I don’t mess it up. Knowing your strengths and weaknesses can only help you instead of hindering you when starting a home business. Working in an office can gain you a long list of qualities that would benefit you in a work-at-home business. Most clerical duties include phone skills, filing, and customer service skills amongst the more advanced training such as technology experience, marketing, or public relations. All of these skills are often used in variables as many moms take on work-at-home positions as virtual assistants for other entrepreneurs and business owners globally. Having an assistant position or doing freelance work are cost-effective in starting a business because it saves money on expenses and most of all, business owners are more likely these days to hire people to work from home to handle calls, emails, behind-the-scenes work, and other important tasks so they can focus on making money. The “Women In Tech” industry is growing nonstop. Graphic designers and website designers are in a perfect position to take advantage of it. I remember taking a ninety seven dollar class on designing social media banners a few years ago. As I kept designing, I started to create designs for other people who were really impressed with what I could do. This led me to turn my work into a business. Eventually, I started doing websites for myself and other people. I couldn’t afford to hire anybody to do this stuff for me, so I learned the skill for myself. Ever since, my business has taken off and become very lucrative as I can now stay home with my son when he’s sick, go to his school activities, and set my own hours. When you can be a service provider to other businesses, you can create a niche for yourself that others might not be able to easily fill. And it doesn’t stop there. Other technical skills that might be of interest for work-at-home bravehearts include web development, coding, cyber security, and a mass of other skills that you might have already learned previously through work experience or schooling. Starting a home business is just THAT- starting. It can evolve into so much more over time and it will…if you let it. Many moms have entertainment skills in the palm of their hands. Your ability to throw a great party can be turned into an event planning business for kid parties, wedding receptions, or corporate events. You could also start a personal chef or catering business utilizing your best cooked dishes. If your organizing skills are up to par, you could do it personally as a concierge for other busy moms or business owners who need it. Some moms start successful home businesses doing what they already do best in their own homes. A very important factor in turning your skills and experience into a home business is to just be honest with yourself about your skills and what you love to do. Take into consideration what you are strong at doing and what your weaknesses are. If you can run a web design business but can’t handle the money side of it, maybe you can hire another mom who works from home to do your bookkeeping for you. This way, you don’t have to figure it out for yourself, you don’t have to do any task you don’t want to do, and you’ll help another mom at the same time. Doing this will create an instant win win situation for the both of you.